Following the arrival of Nintendo Check In, a Pokemon CHECK IN booth is scheduled to land at Kansai International Airport on July 2, 2018. Pokemon CHECK IN is an interactive Pokemon exhibition that is currently planned to operate from July 2, 2018 to June 30, 2019. Pokemon fans and children can enjoy a variety of activities at Pokemon CHECK IN, such as taking photos with 100 Pokemon Center Original plush dolls, playing Pokemon Quest on iPad, taking photos with Pilot Pikachu, and enjoying a Pokemon Ga-Ole battle on a 50 inch screen. 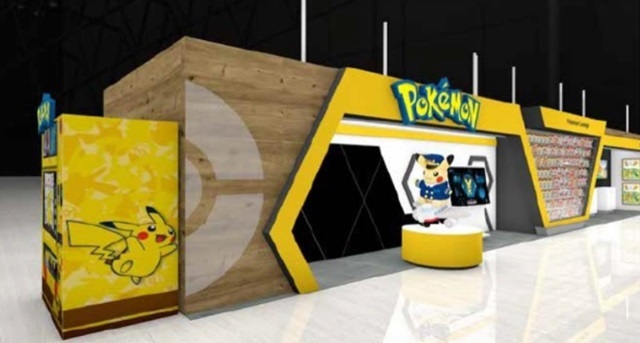 In addition, The Pokemon Company is planning to install a Pokemon Stand vending machine at the exhibition this Fall for customers to purchase official Pokemon Center merchandise. You’ll be able to visit Pokemon CHECK IN on the second level of Kansai International Airport Terminal 1 at KIX Gallery.